Booking your Superhero Party is simple! Simply fill out the following Form, and our event planner will get in touch with you within 24 hours to confirm your reservation, and answer any questions you might have about your Superhero event. 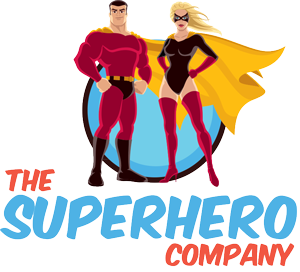 Whether you're looking for more information on our Superhero Parties, or you would like to speak to a representative directly, don't hesitate to contact us below. The party areas we cover include the Greater Toronto Area, Toronto, North York, Woodbridge, Markham, Scarborough, Etobicoke, Brampton, Oakville, Milton, Mississauga, Burlington, Hamilton, St. Catharines & more. Please contact us to check availability and additional areas covered. For more information on booking our party services, and answers to the most frequently asked questions, please refer to our Policies & FAQ's page. Are you ready to book your Superhero or Star Warrior Party? Booking your Party is simple. Fill out the booking form and send us the details of your event. We are passionate about expanding the imagination of children and adults alike with our award-winning Superhero and Star Warrior Parties. Voted the #1 Superhero Party Company in Canada, we specialize in Superhero and Star Warrior Birthday Parties, corporate appearances, character meet and greets, and specially themed events around Superhero and other popular characters.